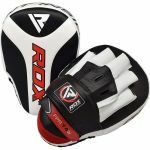 Take your boxing career to the next level with the RDX C4 Professional Boxing Gloves. Oozing quality, these gloves come in four sizes and are perfect for any boxer, no matter the size. The C4 gloves are comprised from authentic cowhide leather and are hand stitched to ensure year after year of use. Plus, the gloves come in a high density PU mould with underlay and a EVA offers a barrage of shock absorbency against heavy impact. Durable - The C4 gloves are comprised from authentic cowhide leather and are hand stitched to ensure year after year of use. Shock Absorbent - The gloves come in a high density PU mould with underlay and a EVA offers a barrage of shock absorbency against heavy impact. 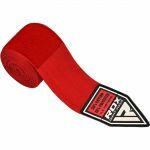 Who are the RDX C4 Professional Boxing Gloves For? 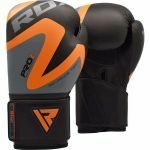 The RDX C4 Professional Boxing Gloves are perfect for anyone looking to take their boxing career to new heights. High quality and high performance, you can’t go wrong with these high end gloves.